Besides decay, other common dental problems that patients suffer from are crooked teeth and overcrowding. These dental problems can make it harder to brush and floss properly, increasing the chances of decay and gum disease. In addition, crooked teeth can place stress on nearby teeth and cause uncomfortable symptoms, such as pain in the jaw. To address these issues, your dentist may recommend orthodontic treatment to improve the function and health of your smile. 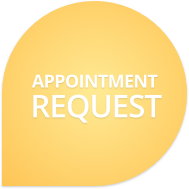 To determine if an orthodontic treatment is appropriate for you, you will have to visit our office for an evaluation. Dr. Sniscak, your dentist for Spring Lake Heights, will use the latest tools and methods to analyze your teeth and jaw position. The dentist may recommend orthopaedics as a first step to correcting dental problems. Orthopaedics employ removable oral devices (like removable retainers, removal space maintainers and jaw repositioning appliances) to promote optimal tooth, jawbone and facial development. Orthopaedics allow us to correct dental and bite issues before they become more complex and harder to treat. Orthodontic treatment employs braces and other semi-permanent oral devices to shift your teeth into proper position. The braces are bonded to your teeth and give the dentist more accuracy and control to move your teeth into place. Regular adjustments are required to allow the dentist to check your progress and ensure the braces are doing their job. Contact Smiles By The Sea to learn more about orthodontics and orthopaedics. Our dental team is committed to helping you enhance your smile. We also offer Six Month Smiles as an effective way to achieve a straight healthy smile in 6 months.